I cannot remember where I found the inspiration for this combo. Facebook? Pinterest? Either way it was instantly seared into my mind as something I wanted to try. If I remember correctly they also used ILNP polishes. If you have a multi chrome polish and a flakie polish I highly recommend trying it. I’m even thinking about trying it again but without the holo. ILNP was one of the first indie brands I tried. I fell in love with Electric Carnival and bought it when it was first released Fall 2014. I feared it would run out of stock and be gone forever. I laugh when I remember that time. I was very new to the indie world and didn’t know Facebook fan groups or nail polish groups existed. Did they exist then? Blogs and YouTube were the only way I knew information was passed along. I followed, and still do, many blogs and YouTube channels about makeup and nail polish. How far I have come since that time. Everyone has a starting point and that was mine. In this manicure I used ILNP Cygnus Loop and Paradox (H). My goal was to have them compliment each other and I believe they do that really well. 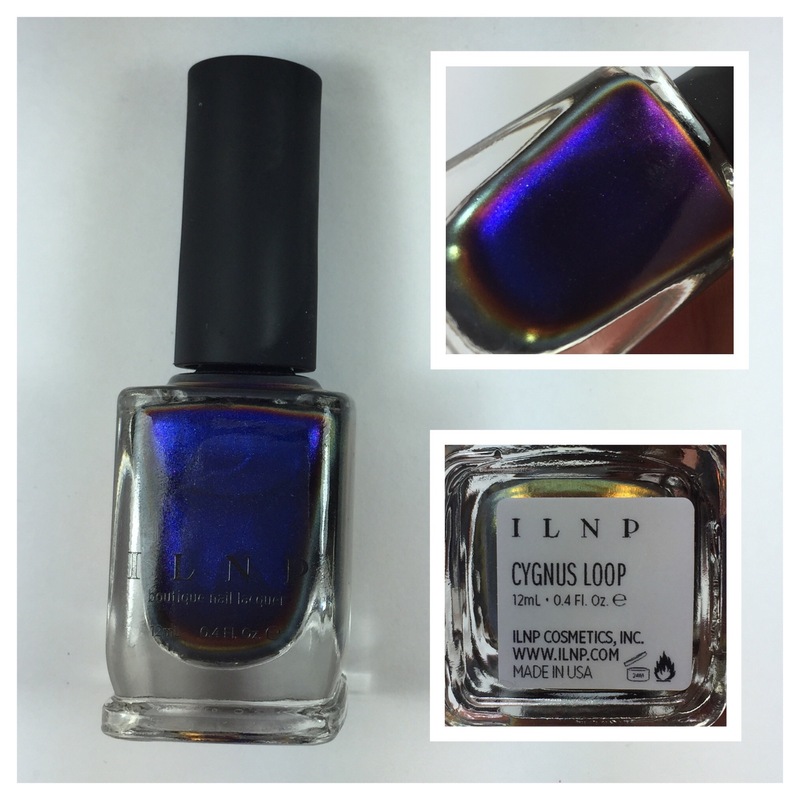 I used Cygnus Loop as my base polish and applied two coats to make sure it was opaque. Next, I added one coat of Paradox (H) top. The impact that this combo had is mind blowing. It was like deep space on my nails. So beautiful! If you are looking for something simple that can make a big impact I highly suggest trying this.